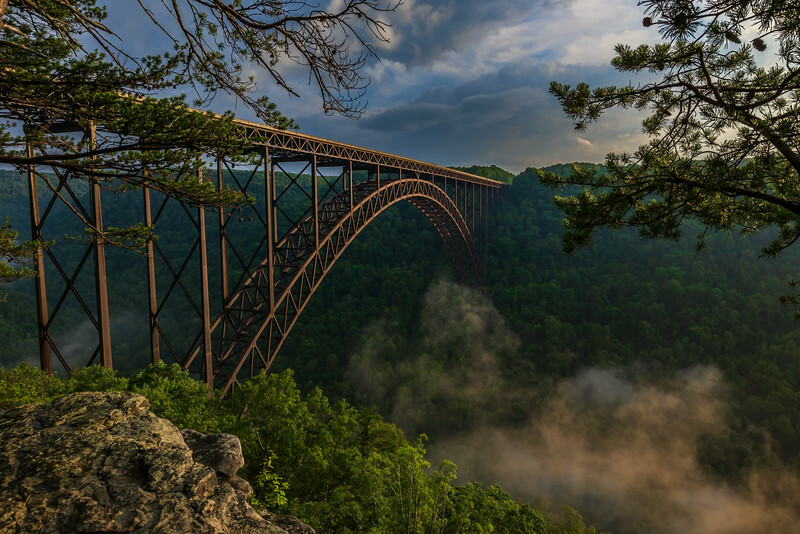 West Virginia's iconic New River Gorge Bridge captured from various vantage points. The iconic New River Gorge Bridge as seen from the Bridge Buttress on a foggy summer evening. Beautifully composed and great light!